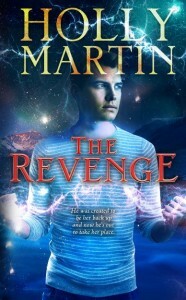 Ten Quirky Questions with Author Holly Martin! Today the lovely Holly Martin has dropped by to answer some fun questions – plus I’m revealing the gorgeous cover to her latest book, the third book in her The Sentinel series! The Revenge is out on 1st December 2015! Jane Austen, Stephanie Meyer, John Green, E.L. James and J.K Rowling are all in a hot air balloon – one must go overboard to save the others. Who would you throw over? Oh wow, what a question, i think I would jump over myself as these writers are all very talented in their own right. Sparkly party outfit or understated elegance? Sparkles!!!!!! Thanks Holly! I wonder if you will write that book one day! And wishing you every success with The Revenge. This entry was tagged chocolate, chris hemsworth, holly martin, paranormal, reading, sarah morgan, superheroes, the sentinel, urban jessica ennis, writing. ← Carina author tips for writing Christmas novels! Thank you Sam and Holly for a fascinating post. The Sentinel sounds a great series to read. Round Peg, Square Hole is an intriguing title for an obviously very interesting life! I wonder if we WILL see it one day! !